This resin mini will work for both Sci-Fi and Fantasy games. Scale is Heroic 28mm. Sephea, Executrix Champion + 25mm round base. FREE Shipping during PREORDER period: shipments begin Monday April 10. 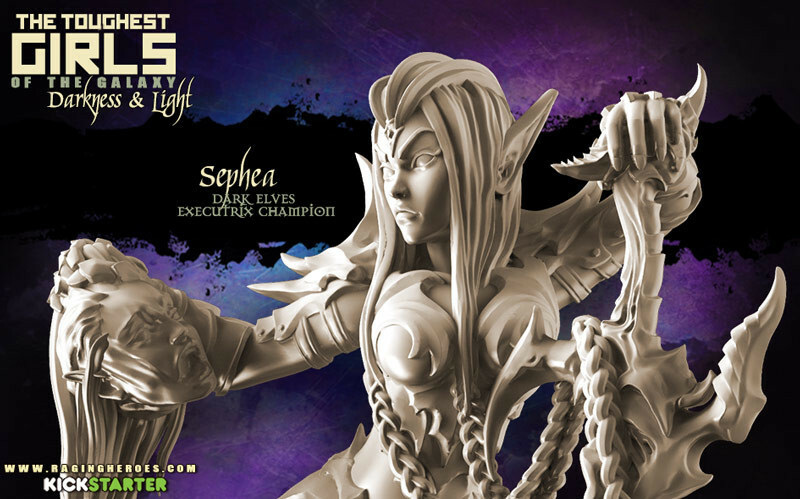 Also part of the Dark Elves Heroines Box 1. Submitted by Miniset on 11 April, 2017 - 12:35 (286592).